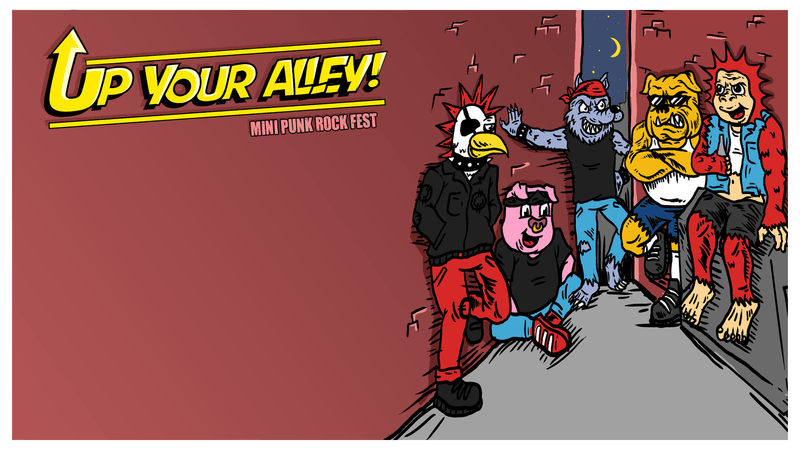 Ten Punk bands of all shapes, forms & sizes unite for Up Your Alley, mini Punk Rock Fest! 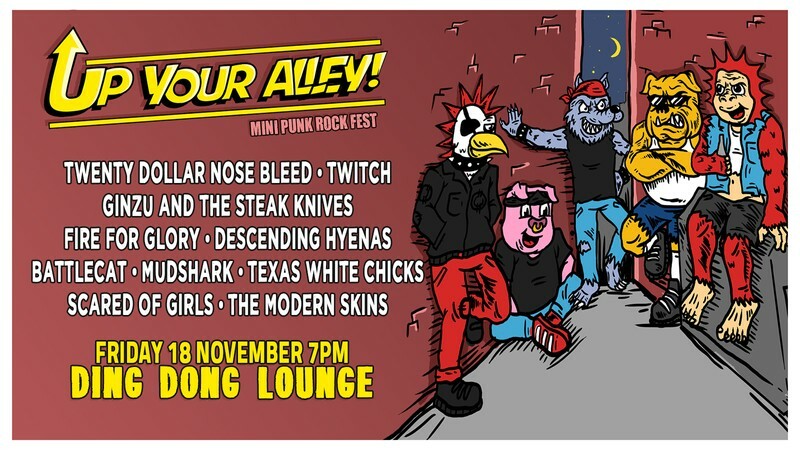 Twenty Dollar Nose Bleed, Twitch, Ginzu and the Steak Knives, Fire For Glory, Descending Hyenas, BattleCat (Hamilton), Mudshark, Texas White Chicks, Scared Of Girls & The Modern Skins! The band order will be drawn from a pint on the night so get in early & watch a bunch of decent as bands you've probably never seen before!